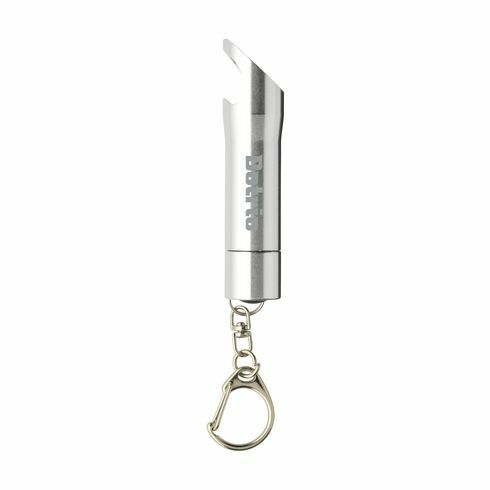 Aluminium torch with 3 bright white, energy-efficient LED light bulbs and a bottle opener. 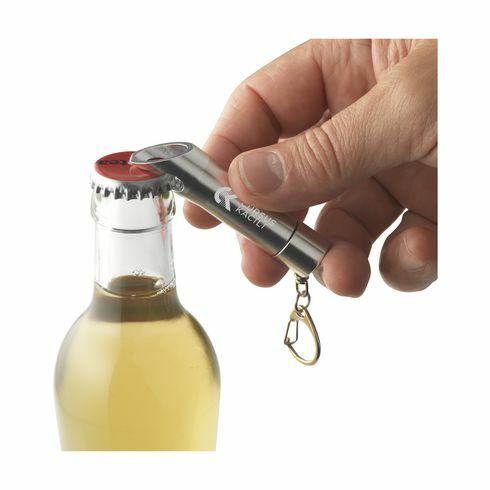 Comes on a carabiner hook. Batteries included. Each piece in a box.